Leisure Cushions Australia Pty Ltd is the parent company of Coastal Casual Outdoor Furniture. 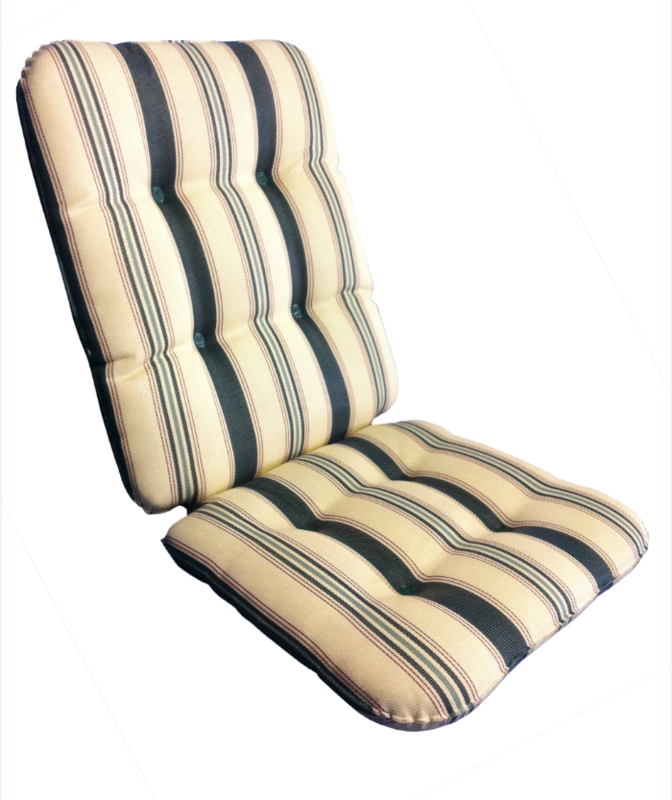 We are a specialised Outdoor Cushion and Outdoor Sling manufacturing company, which has been in operation on the beautiful Gold Coast since 1992.
conditions. All Texmesh Pvc fabrics are resistant to abrasion and mildew and hold solid dimensional stability when used in both domestic and commercial applications. The Leisure Cushions Welded cushion range is manufactured using an extensive range of fabrics available in many different colourways, patterns and textures and many of these are exclusive to our company. The welded range of outdoor cushions is a range of cushions made to standard tooling using process called “welding” – this type of product is made using specialised High Frequency Welding machines that make the cushions using a process that consists of set tooling and the use of HF/RF welding that bonds Pvc Outdoor mesh and PVC backed fabrics. This process involves using sound vibrations (around 27meg) to bond the Pvc fabrics in such a way that the layers (top and bottom) that meet at a prescribed points in the dies (encasing our specially made polyester Dacron infill) to become one, due to the excitement of molecules in the Pvc, vibrating at controlled oscillation levels under pressure against tooling made to the required size. This means that cushions made using this process are offered as “non-alterable” sizes – so cushions made this way are restricted to within the confines of tooling sizes on offer, however this process is very efficient, so cushions made this way are much cheaper to purchase than products made using any other process available in the marketplace, because of the labour saving in the manufacturing. Polyester – this manufacturing process also eliminates zipping… because of this, access to the inner of this type of cushioning is not an option. Welded cushions are offered as “standard” (welded seam surrounding the edge of cushions is left uncovered) or “ Welded and Bound” (welded seam surrounding the edge of cushions is finished off with a polyester or acrylic binding folded and sewn over exposed weld seam) the Bound option has a twofold effect of softening the finish cushion edge as well as allowing the customer to bring in an additional complimentary or contrast colour to the finished cushion – Binding of cushions is offered as an additional expense. If a standard welded cushion doesn’t suit your chair in either size or style or you would like your Outdoor Cushions to be made in a different grade or type of Outdoor fabric we have the ability to offer Sewn Cushions that can be made to any shape, style, size and design required, Please visit the Leisure Cushions Sewn Cushions section on this website to see the different options we offer and visit our comprehensive range of Outdoor fabrics to peruse the many different types of Outdoor fabrics you can choose from. The internal component used in the welded range of outdoor cushions is a blended polyester fibre we call Ezy-Dri Outdoor Dacron – a product that is specially made for us using a blended polyester 40 denier fibre mixed with a bonding agent called Meltie that under a specially designed process of cross link layering, heat and rolling pressure, combines to make a finished product specifically designed for outdoor cushion inserts. It is a medium density product with excellent drainage characteristics that allows water to flow through and dries very easily, this also means the problem of moisture draw and moisture retention that is associated with standard foam inserts that promotes mould and mildew growth is not an issue – this is very important if the cushions are being left out in full exposure 24/7. Ezi-Dri Outdoor Dacron is a structurally sound, bonded product that when layered, gives good comfort and is very cost effective against other options – the welded cushions as standard are available in a 1200gsm (+/- 80mm thickness) – of course you can choose to have a thicker cushion made if required – this means we can add another layer of Dacron to the inside before the welding process is initiated. Each layer of Ezi-Dri Dacron is approximately 40mm thick – we layer the Dacron fibre dependent on the cushion requirement and describe the layered options as 2layers =1200gsm and 3 layers = 1800gsm.